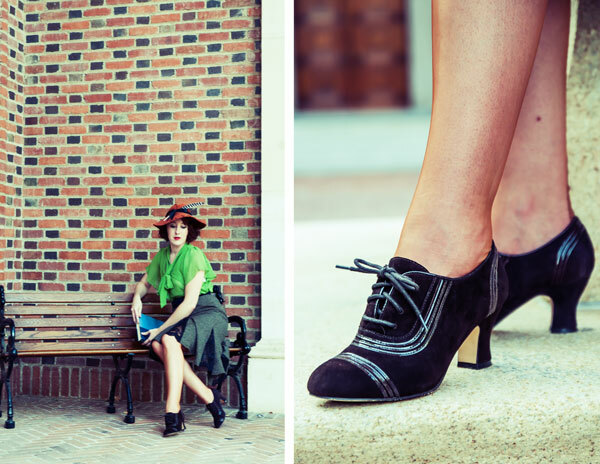 Costumes and Companions: "Claremont" 1930s Oxfords Giveaway by American Duchess!! Have you ever wanted to buy a pair of historically accurate shoes? American Duchess is an amazing shop that offers historically accurate shoes from the 18th Century to the 1920's. I recently bought "Hartfield" Regency Leather Boots in brown. They are gorgeous and I am so excited to wear them next year at the Louisville Jane Austen Festival. 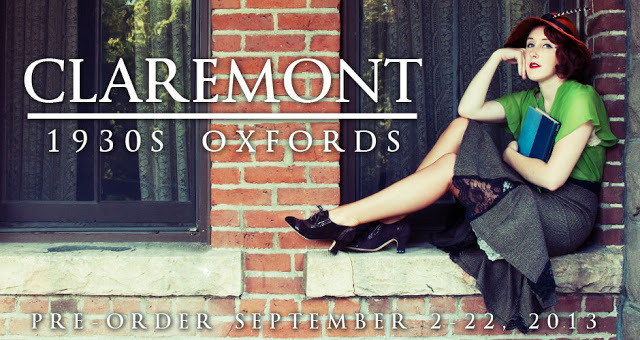 American Duchess is currently offering a preorder for the newest shoe, the 1930s "Claremont" Oxfords, until September 22nd. Here is a description of the shoe from the store's website. 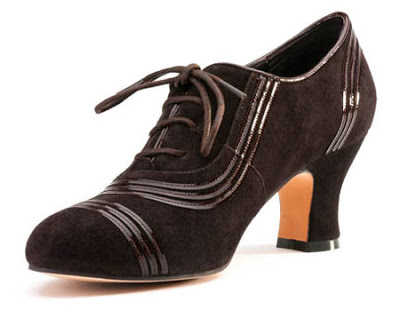 "Claremont 1930s Oxfords in brown suede and patent leather are smart, sophisticated, and elegant, offering that extra something for your vintage look, be it for historical reenactment, or everyday wear.Developed from original '30s lace up shoes, the Claremont offers both comfort and style, with our perfectly balanced, 2 3/8 inch / 6.03 cm, custom made heels, and snazzy patent leather striping on the upper. Pair them with daywear of the late 1920s through early 1940s, for the perfect vintage outfit." This would be a great shoe for any reenactor of the 1930's concerned with historically accuracy or someone that is looking to add some class to their wardrobe. Click here to take a look at this amazing shoe.